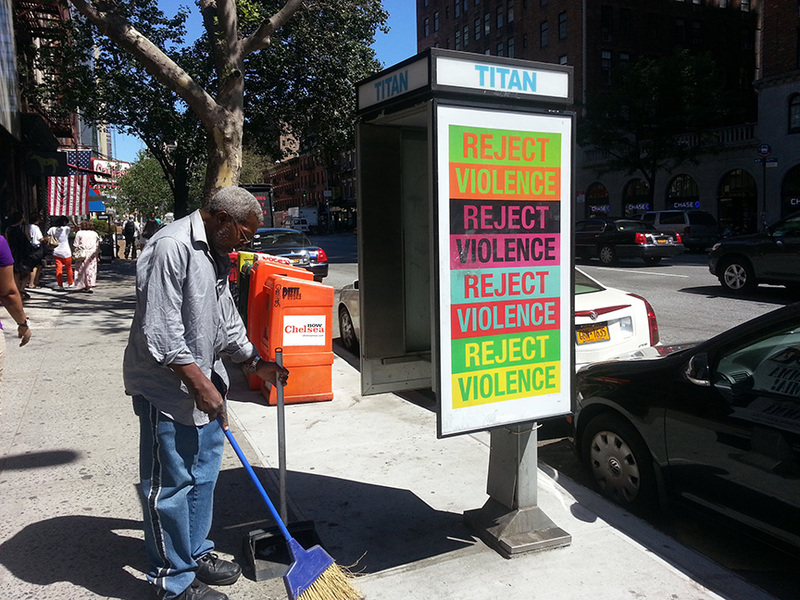 Public Ad Campaign: Reject Violence - Sal'D Ad Takeover? 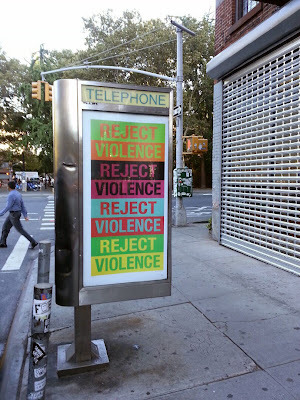 Reject Violence - Sal'D Ad Takeover? 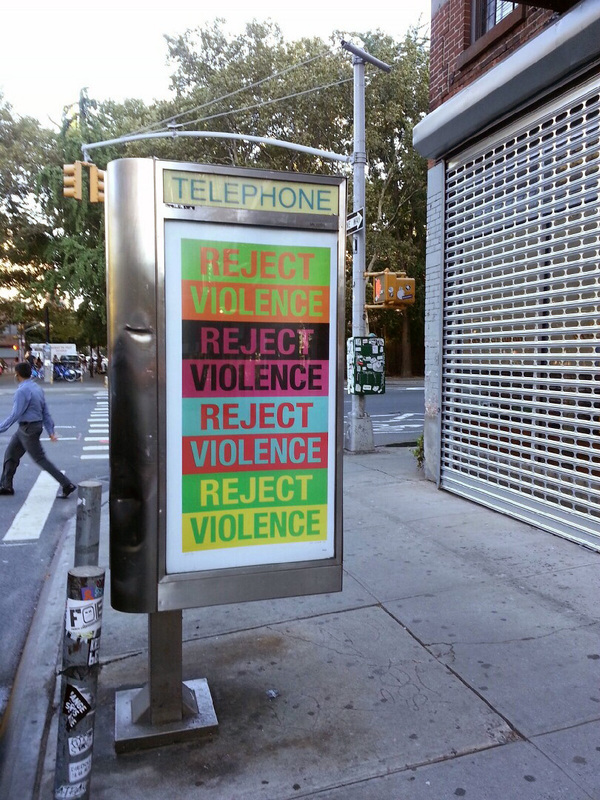 I can't tell if this is a legitimate artist paying for space, or one taking the space that is rightfully theirs to express an opinion on their city streets. Either way it is a nice moment that both Luna Park and I noticed at two different locations yesterday. Thanks for the pic Luna!